Archives of Eaton Bray News for December 2010. We are catching up on missed collections from this week. Next week (week commencing 27th) all scheduled collections will resume (pending no further weather issues). Green waste is currently suspended (as advertised). Curb side glass will be suspended in the South until week commencing 3rd January and there will be no additional recycling collections as planned in the South. The guidance to customers is to leave normal scheduled bin out from next week onwards. If they have missed a collection from this week ask the resident to please leave bin in safe position, but we may not get back until the bins next scheduled collection when it will be taken with side waste. We have been advised that all waste and recycling collections have resumed today. However, some roads are still very icy so we cannot guarantee all roads will be accessible. We are monitoring the situation and will keep you all updated throughout the day. Unfortunately due to adverse weather conditions All Waste Collections have been suspended. We are monitoring the situation and will keep you all update throughout the day. Household Recycling Centres are still open, but due to the poor weather conditions we would not advise anyone to travel unless absolutely necessary. 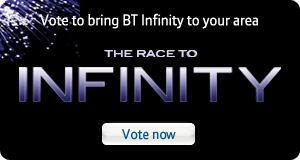 Currently there are 140 votes for high speed broadband in Eaton Bray, about 5% of the total votes cast. Come on people vote for it. Get Eaton Bray on the map. It is nearly time for Gordon Gray to distribute this year's Charity Christmas Puzzle. This, the 20th annual Puzzle that Gordon has set, has a theme designed to help completion and will appeal to people who enjoy doing Crossword puzzles, such as in the Daily Telegraph (though it is not a Crossword puzzle). Puzzlers have plenty of time to find the answers and Puzzles should be returned, with donation, by 23 January. Four winners will each receive a £30 prize. Everyone who enters will qualify for a £30 prize draw. Gordon plans to post Puzzles on 7 December, so those already on the distribution list should receive their copies by 9 December. Anyone else who would like a copy of the Puzzle can access it from the web at www.christmaspuzzle.co.uk. You can register early to receive a copy on the issue date of 8 December. Over £36,000 raised for charity. This year's puzzle will support St Mary's Church, Eaton Bray, plus four other charities. Accomplish Children's Trust: The aim of Accomplish Children's Trust is to bring relief to disabled children and their families in Africa children - with a current focus on south-west Uganda. The Trust provides support through grants and initiatives for child sponsorship, medical interventions, training and vocational activities and parent support networks. Charity No: 1127235. Camberley Care Trust: Camberley Care Trust provides a handyman service by a trustworthy person and at affordable prices to many elderly people who are worried about minor repairs and installations, either because they cannot manage the hourly rates asked by trades people, or because they feel vulnerable when admitting them to their homes. Charity No: 298419. Combat Stress: Combat Stress is the UK's leading military charity specialising in the care of Veterans' mental health, treating conditions such as Post Traumatic Stress Disorder (PTSD), depression and anxiety disorders. Services are free of charge to veterans. Since 2005 the number of ex-Service men and women seeking help has risen by 72% with a current caseload of more than 4,300 individuals, including 102 Veterans who have served in Afghanistan and 400 who served in Iraq. Charity No: 206002. St Mary's, Eaton Bray: The church where Gordon is Reader. Charity No:1129952. The Suffolk Punch Trust: The Trust was set up in 2002 to take the Colony Stud at HM Hollesley Prison into private charitable ownership. The Trust's primary aims are to expand the Suffolk Punch breed, make the horses more accessible to the general public, continue the therapeutic, rehabilitation and training programmes for prison inmates, undertake conservation and heritage education for all age groups and the socially excluded and to encourage eco-tourism. Charity No: 1100596. You are viewing the December 2010 archive.